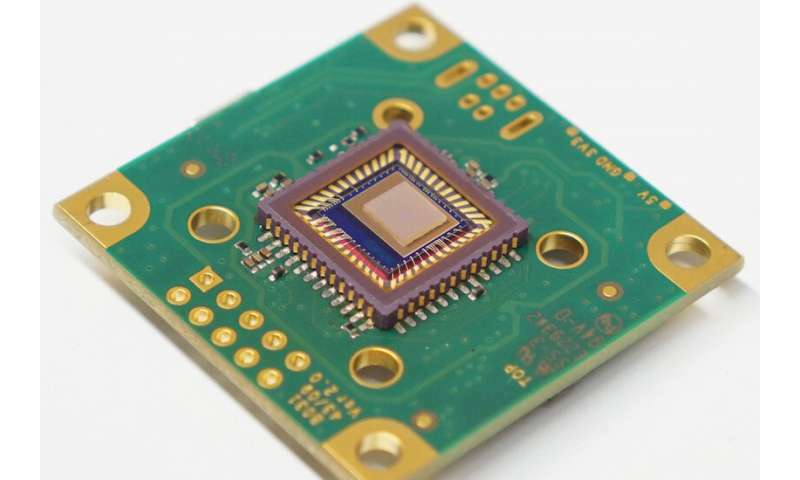 The team's devices also have an advanced capability called hyperspectral imaging, which collects information about each individual pixel in an image order to identify materials or detect specific objects amidst a complicated background. Hyperspectral sensing, for example, could be used to detect seams of valuable minerals within rock faces or to identify specific plants in a highly vegetated area. Every element's spectral fingerprint includes unique emitted or absorbed wavelengths of light—and the spectrometer's ability to sense that light is what has enabled researchers to do everything from analyze the composition of unknown compounds to reveal the makeup of distant stars. Spectrometers usually rely on prisms or gratings to split light emitted from an object into discrete bands—each corresponding to a different wavelength. A camera's photodetector can capture and analyze those bands; for example, the spectral fingerprint of the element sodium consists of two bands with wavelengths of 589 and 590 nanometers. The age of the tricorder may finally be coming!